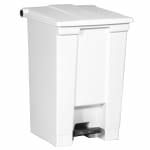 The Rubbermaid FG614400WHT step-on trash can has a 12-gallon capacity and is made of heavy-duty plastic. Since the container is white, it fits into almost any setting. Activated by a pedal, the lid fits tightly onto containers to hold in odors. Since the pedal is quiet and durable, it can endure heavy, repeated use. 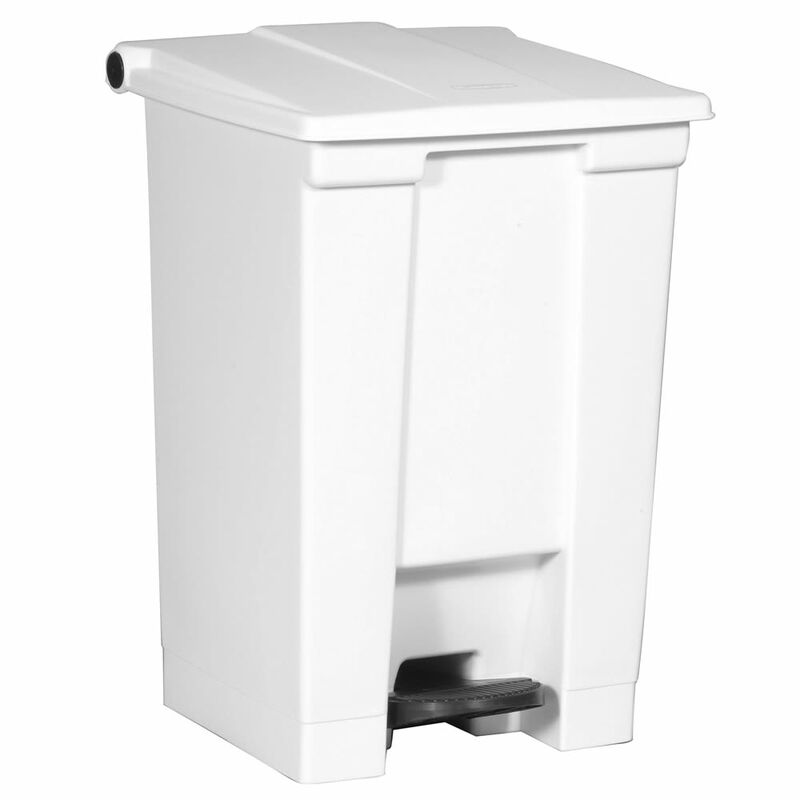 Our trash cans buying guide breaks down the different types of trash containers.